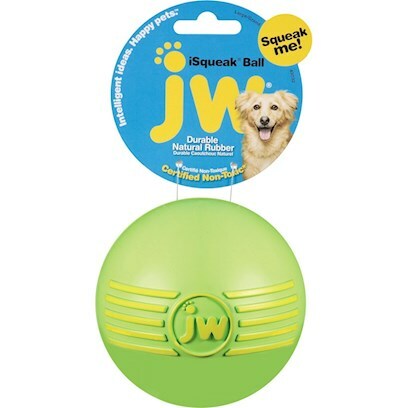 Keep your dog active and entertained as they chase the irresistible squeak of the bouncy JW iSqueak Ball. Available in small, medium and large sizes! JW iSqueak balls come in assorted colors.